DO NOT COMBINE WITH Edward ROBERT Bulwer-Lytton (Earl Lytton; a.k.a. Owen Meredith) the poet. This author page is for his father, Edward Bulwer-Lytton (Baron or Lord Lytton), the prolific novelist. 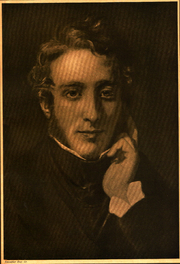 Edward Bulwer changed his surname to Bulwer-Lytton in 1844 at the request of his mother, and was created first Baron Lytton in 1866. He was a popular writer who coined several phrases that would go on to become clichés, including the opening line to his 1830 novel Paul Clifford, "It was a dark and stormy night." His name lives on in the annual Bulwer-Lytton Fiction Contest, in which the contestants craft bad openings for imaginary novels. Edward Bulwer-Lytton is currently considered a "single author." If one or more works are by a distinct, homonymous authors, go ahead and split the author. Edward Bulwer-Lytton is composed of 93 names. You can examine and separate out names.